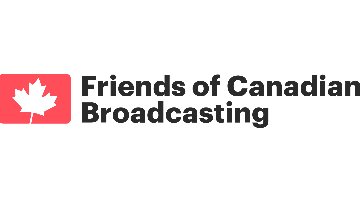 Friends of Canadian Broadcasting (friends.ca) is the citizens' advocate for journalism and storytelling. We have 364,000 supporters across Canada and are completely independent of any broadcaster, corporation or political party. Today, we’re looking for an experienced, ambitious storyteller to take on a new leadership role in advocacy communications within the organization. This is a rare opportunity to make a significant difference in Canadian politics and society, and to make great work. You will build your own team and develop a strategy to connect Canadians to our work, helping them to understand and appreciate the importance of strong Canadian journalism and storytelling. You will have experience working in content production (be it video, print, and/or digital), with the ability to quickly spot an opportunity for engagement and respond. You are fluent in English, ideally proficient in French, and can also speak in GIFs. This opportunity is based in our Toronto office, and you will report to the Executive Director. This is not a passing fad: we are committed to resourcing this initiative properly, for the long term, and we intend to fully integrate this work into everything else we do. Most importantly, you will have full freedom to carve your own path, bringing a fresh approach to a mature organization that values your talent. Friends of Canadian Broadcasting values employment equity. We support diversity and inclusion in the Canadian media, our work, and this call for applications. If you require any accommodation in the recruitment process, please let us know by email to friends@friends.ca. Salary is $90,000 - $110,000 based on experience and portfolio. This is a full-time position which includes access to a benefits plan. Please combine your cover letter, resume, and three samples of work (samples can be campaigns, videos, writing, memes) into a single PDF file and email them to friends[at]friends.ca. Please use the subject line: "Application: Digital Director". The deadline for applications is Friday, February 15th, 2019, 5:00 p.m. EST. Any applications received after the deadline will not be considered. We thank all candidates who apply in advance, but only those selected for interviews will be contacted.